The bishop of Zhengding of the underground Catholic Church has been in and out of detention since 1989, and is still kept under strict surveillance. Hebei is an important base for the Catholic Church in China. For many years, bishops and priests from the underground Catholic Church there have been detained or placed under house arrest for refusing to join the government-controlled Chinese Patriotic Catholic Association. Bishop (Julius) Jia Zhiguo is one of them. He was born into a Catholic family on May 1, 1935 in Wuqiu Village, Zongshizhuang Town, Jinzhou City, Shijiazhuang, Hebei, China. He is thus 83 years old. On February 8, 1981, Bishop Jia was consecrated by Bishop Fan Xueyan (1907-1992) as the second bishop of Zhengding for the underground Catholic Church. 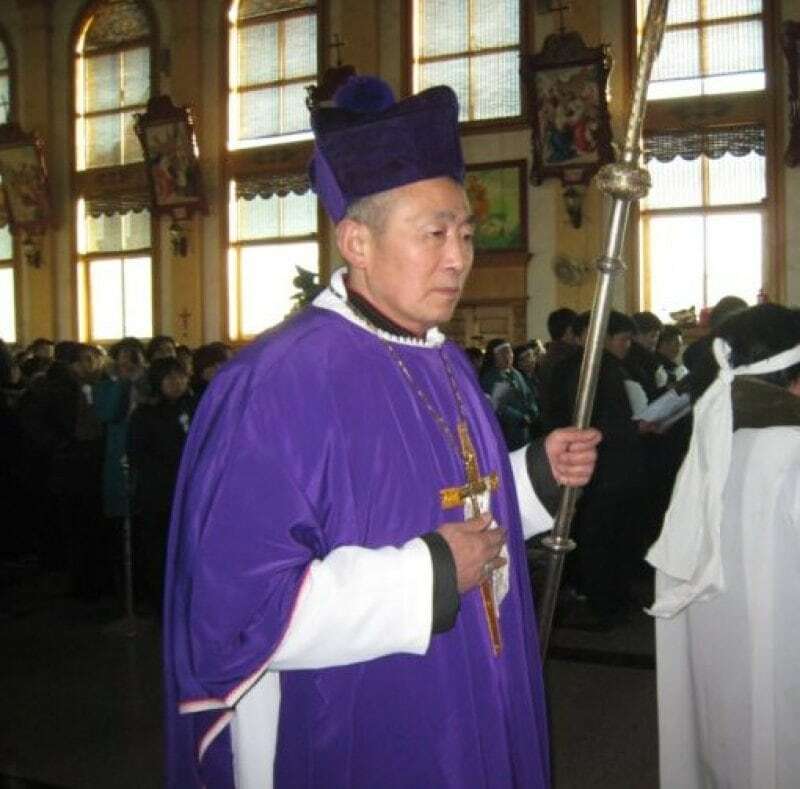 Because of his refusal to join the Chinese Patriotic Catholic Association, Bishop Jia has been repeatedly arrested, detained, and placed under house arrest. Since Bishop Jia was arrested by the CCP in 1989, he has been constantly arrested again, detained, and placed under house arrest. Despite not currently being in prison, he lives under the close supervision of local authorities, and is not even allowed to see a doctor alone or meet with his loved ones. In March 2018, Bishop Jia’s relatives made multiple requests to the local authorities in the hope of being able to meet with him and eat dinner together. On March 26, after finally receiving approval, the local authorities in Shijiazhuang sent personnel to monitor the entire process. During this time, a police officer used his mobile phone to photograph and videotape Bishop Jia and his family. The officer stood at the entrance of the restaurant and constantly kept an eye on Bishop Jia, not letting him out of his sight. On the morning of June 16, 2018, Bishop Jia started experiencing heart pain and had to be rushed to the hospital. There, he was constantly monitored by a police officer, who only let one family member and one nun see him at a time. Visits from local clergy were not permitted. After his 1981 episcopal consecration, Bishop Jia was arrested more than ten times. On April 4, 1989, he was arrested and taken to prison by the local Public Security Bureau whilst meeting a Hong Kong Salesian priest at the Beijing railway station. He was placed in a prison cell filled with criminals. People in the cell could only stand; there wasn’t enough room to sit down. Bishop Jia was detained for seven days, during which he lost significant weight and became infected with lice all over his body. After seven days, he was transferred to Baoding Public Security Bureau for detention. To force Bishop Jia to cut ties with the Pope and join the Chinese Patriotic Catholic Association, the police tortured him by filling the cell where he was being held with more than 20cm of deep water, to make him renounce his faith. The dampness caused spurs to develop on his feet, making walking painful. 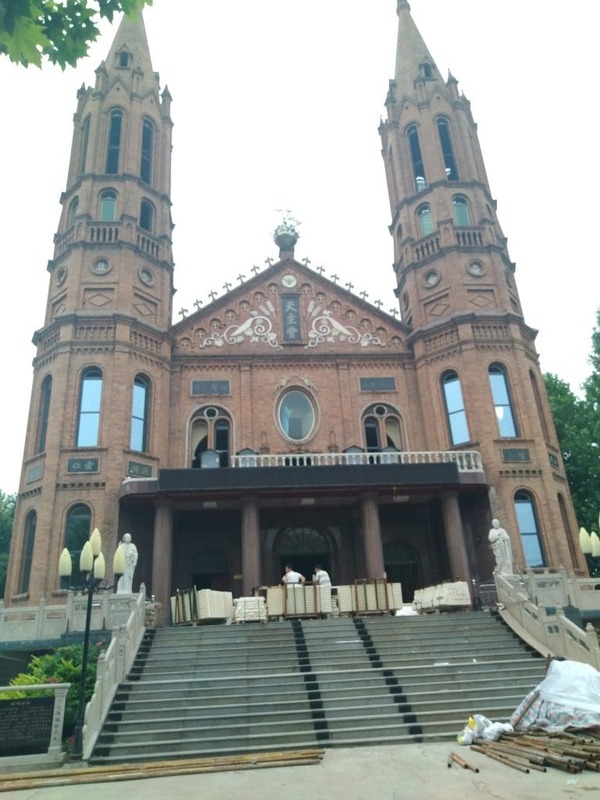 After three months of detention, Bishop Jia was freed and taken to the cathedral church of the Shijiazhuang Diocese, in Wuqiu Village, Jinzhou City. Shortly after Bishop Jia’s release, bureaucrats from Shijiazhuang Religious Affairs Bureau came to see him. They promised that if he severed ties with the Vatican, joined the Patriotic Association, and accepted the oversight of the government, he would be given a good car and allowed to go to any church in Hebei Province he would like to visit. Bishop Jia refused outright. He was subsequently placed under house arrest by the local authorities. The Shijiazhuang police rented a private apartment opposite the cathedral, and arranged for four or five officers to take turns keeping him under surveillance. He was forbidden from leaving his accommodation, and listening devices were also installed in his room. When Bishop Jia had to visit the hospital to see a doctor, to have a transfusion, or to get medicine, he was always trailed by a police officer. According to one of the bishop’s relatives, on November 8, 2005, when President Bush visited China, he asked to meet with Bishop Jia. The police removed Bishop Jia from the cathedral and held him in his quarters. They didn’t allow the President to meet him and falsely claimed that he was traveling. Bush’s protests, however continued, and his administration even threatened to cancel a visit by Chinese leaders to the U.S. Because of these pressures, the CCP government returned him to the cathedral in September 2006. The police then installed a large camera on the cathedral’s entrance. On June 5, 2007, Bishop Jia was arrested again, and later released. On August 24, 2008, on the closing day of the Beijing Olympic Games, he was forcibly removed from the cathedral of Christ the King in Wuqiu Village by Shijiazhuang authorities. He was released on September 18 that year, after the closing ceremony of the Paralympic Games. On March 30, 2009, the police in Shijiazhuang City once again removed Bishop Jia from the cathedral. During this period, his relatives visited the police at Shijiazhuang Public Security Bureau to argue his case, insisting he had committed no crimes. In the end, although the police allowed Bishop Jia’s family to come and visit him, they switched vehicles several times in route so that they lost track of him and could not determine where he was being held. Only on July 7, 2010, his house arrest was suspended. Although Bishop Jia returned to the Catholic Cathedral in Wuqiu Village, he still lives under police supervision and has been repeatedly warned not to step out of the cathedral’s area. To keep the area under closer surveillance, the police found a farm building to the northeast of the complex, which they made into an office for prying information and keeping the bishop under surveillance. Every time members of the Catholic clergy go to see the bishop, personnel from the Public Security Bureau immediately follow them into the complex. They also press them to leave as soon as possible. Multiple cameras have also been installed in the bishop’s quarters, leaving him absolutely no privacy in his personal life. Local Catholics have complained repeatedly about his situation, but to no avail. The Catholic church in Wuqiu Village, Jinzhou City. Bishop Jia is held under house arrest inside.